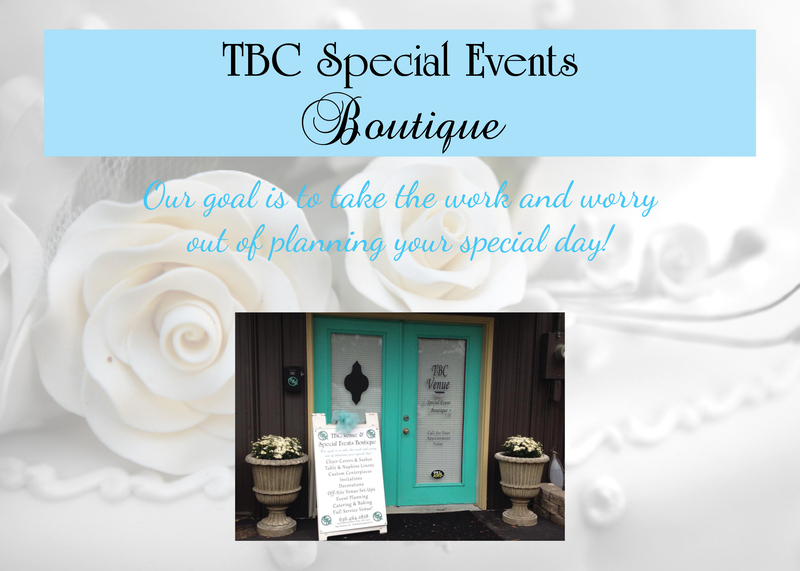 Welcome to TBC Special Events Boutique! 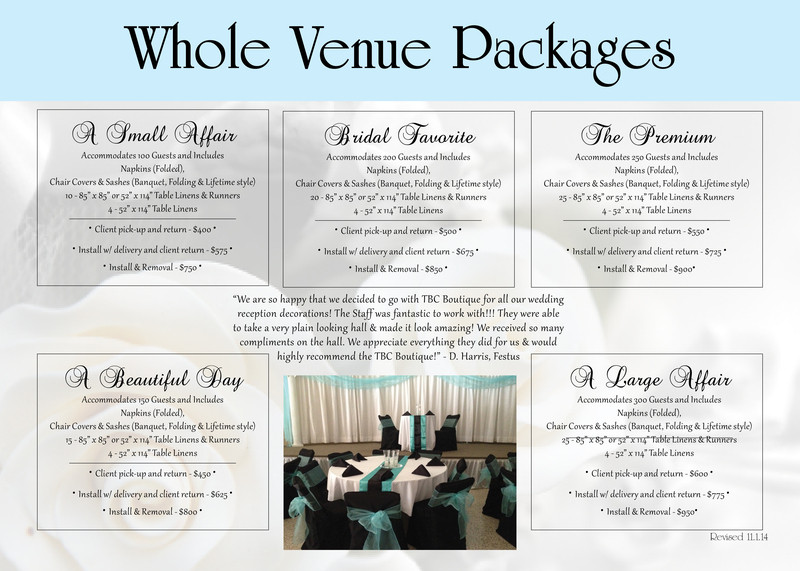 Our goal is to take the work and worry out of planning your special day! 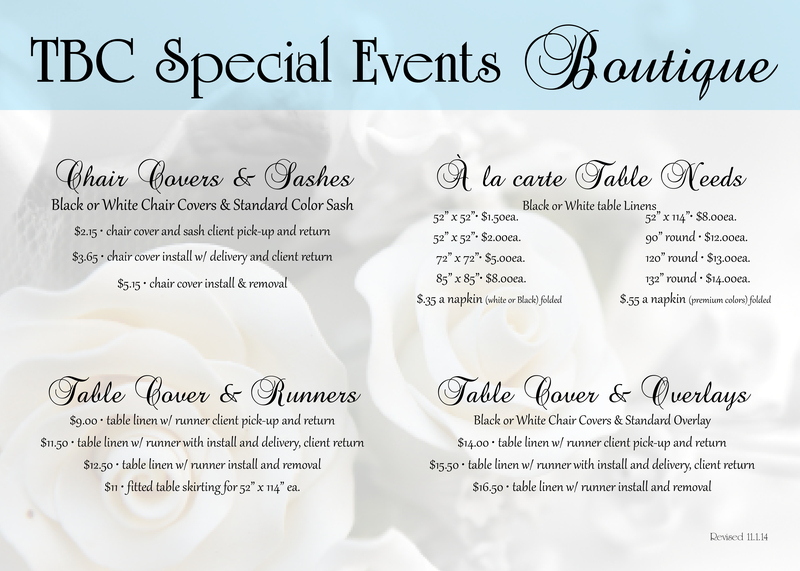 products to ensure that your event is talked about in highest regard! Much Much More, Contact us today for all kinds of upscale additions! 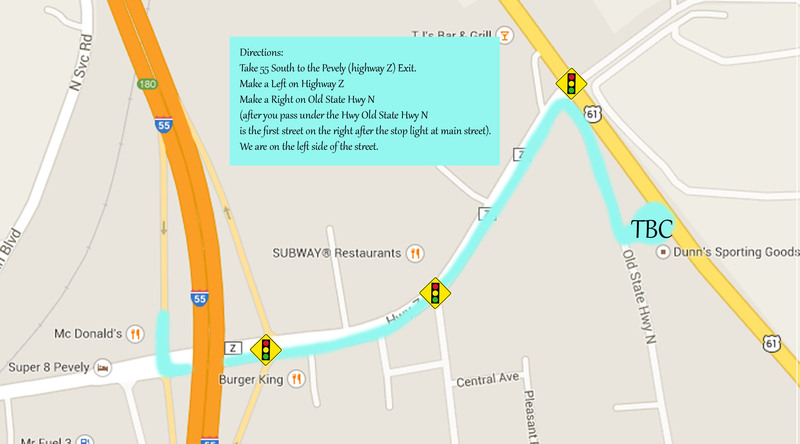 please contact us directly with your needs. Final numbers, along with balance is due FOURTEEN days before event date. Charges cannot be reduced if number of guests attending reduces within these 14 days. $50.00 damage deposit required and will be returned to you within 2 weeks of your rental date if there are no damages. In case these damages result in any legal actions, renter agrees to pay all of the facilities legal fees associated with the collection of such repairs fees. *Damages may include, but not limited to, sashes left in knotted bows, burns, missing, or other substances that cause excess cleaning services will cause damage deposit to be reduced or forfeited. *If client is late to the return appointment time a $2.50 per minute will be deducted from your deposit OR if the return time is missed your deposit will be forfeited. Rentals must be returned at the agreed appointment time on the day following the event. This agreement cannot be canceled based on guesses (including the media’s weather guesses, forecasts, or judgments.) Threatening weather is not considered inclement. If the event must be canceled due to bad weather, we will do our best to reschedule on another date, but availability cannot be guaranteed. Any cancellations cannot be refunded for any reason. Deposits are non-refundable and may only be applied to future reservations on compromised rescheduling. Cancellations cannot be made by client within 30 days prior to event date for any reason. and waive any claim for damages arising from any cause. *Quote requests are good for 60 days. After 60 days your quote is no longer valid. We reserved the right to change packages and pricing at anytime.